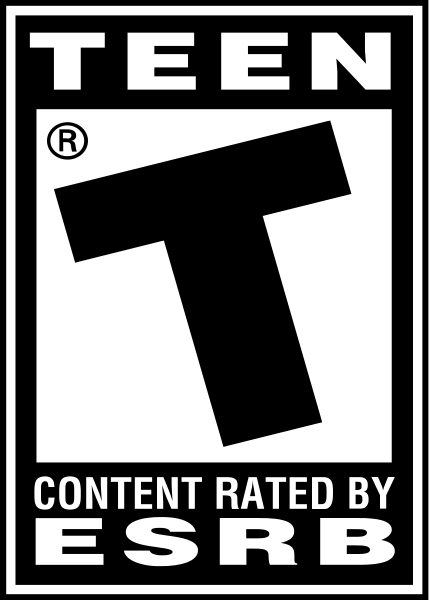 This third-person action game is the first to combine hand-to-hand combat and gunplay in a single, intense experience. It is the story of Konoko, an elite agent of the Tech Crimes Task Force, a woman whose tough exterior hides a soul haunted by dark secrets from her past. 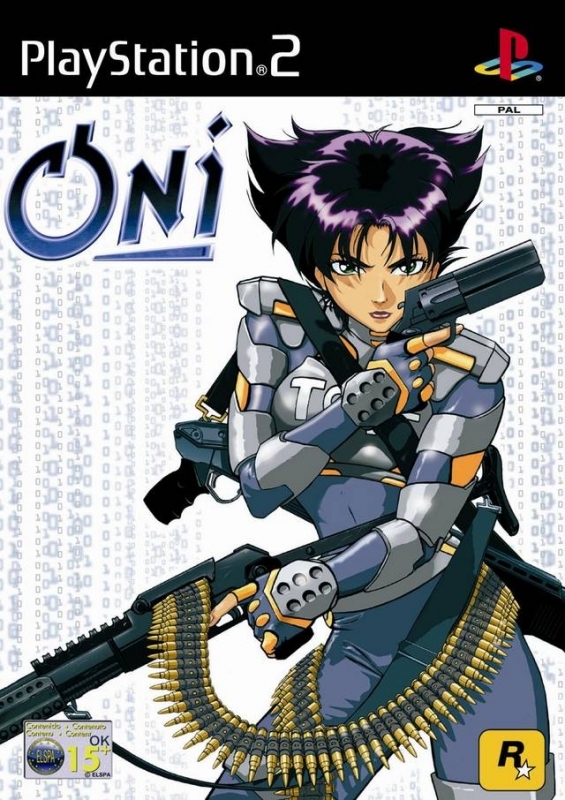 Oni's gameplay transports the player into an intense anime action thriller. Massive, futuristic cityscapes, indoor/outdoor environments, and a huge variety of characters give it the sweeping scale of an adventure game, but the gameplay is pure action. As Konoko, your mission is to bring down a ruthless crime syndicate in the slick, hi-tech future of 2032. 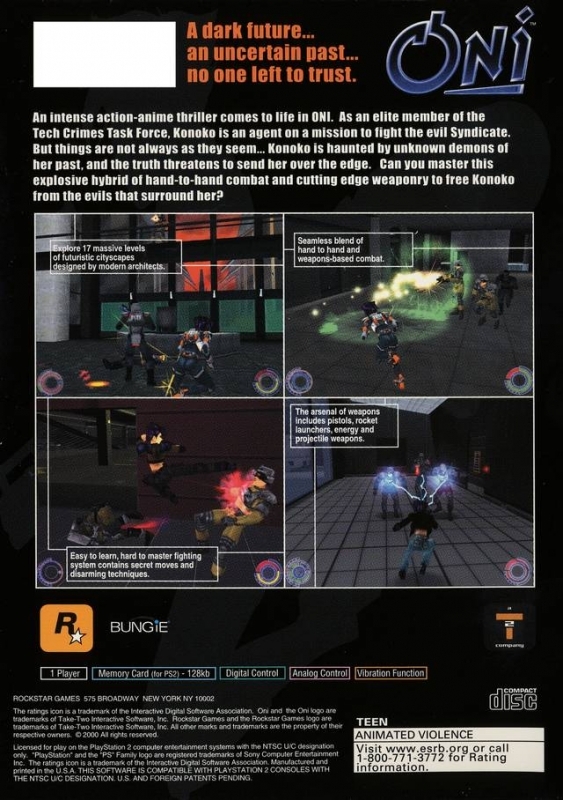 The gameplay, which the developers refer to as "full-contact action," is a mix of hand-to-hand combat and gunplay. 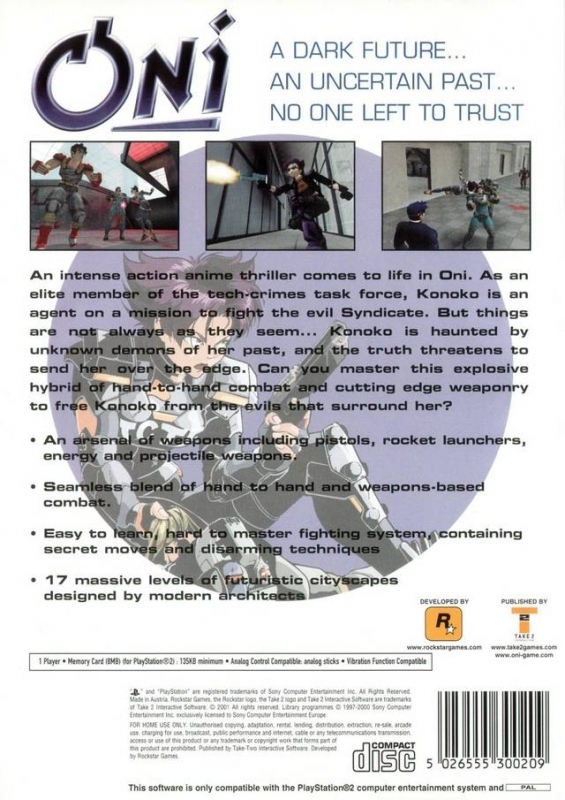 You’ll recognize the blend of influences from anime classics, like Akira and Ghost in the Shell, and action movies, like The Matrix and La Femme Nikita. A dark future...an uncertain past...no one left to trust. I'd like to see this game get ported... wtf is 2k waiting for?